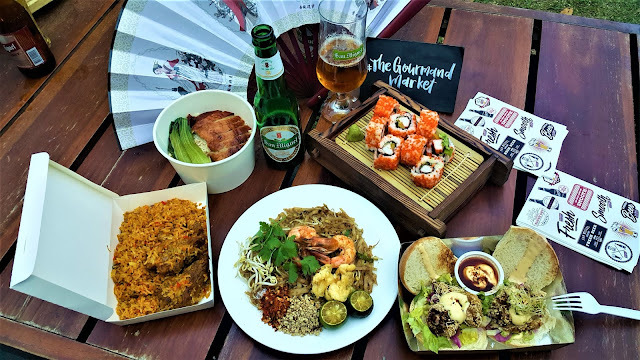 The Gourmand Market by Nawwty's Kitchen at the Bonifacio High Street is a feast both on the eyes and the stomach as they bring in lots of fun activities and International gourmet cuisines in a single venue for everyone's convenience! Food park and bazaar in one place? 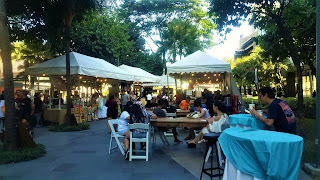 The Gourmand Market that ran from March 22 to 24 (Friday to Sunday) from 11am to 11pm in C1 Park, Bonifacio High Street Central is a big hit for Filipinos and foreigners living or working within the area. 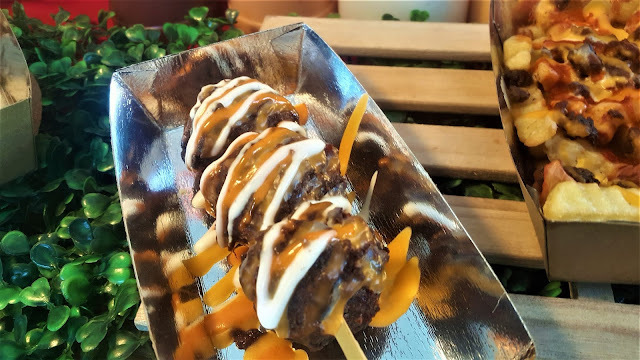 One of the things that initially caught my attention is this galbi on a stick! Galbi is the rib part of pork and this is usually grilled! This is from Fryer Balls, Korean style galbi meatballs. 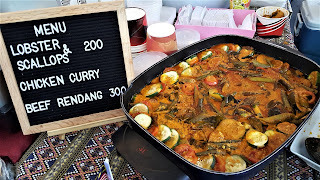 We also found this Lobster and scallops and beef rendang from Shirley's house of authentic curry and the sumptuous burgers from Olympia's gourmet House of Roast beef! For fans of low-carb keto friendly diet, then the Just Go low carb shop is for you! They have plenty of choices for you to munch on and they even offer keto coffee to match with your snacks! If you think you've tried all the flavors and sauces for fries, think again! 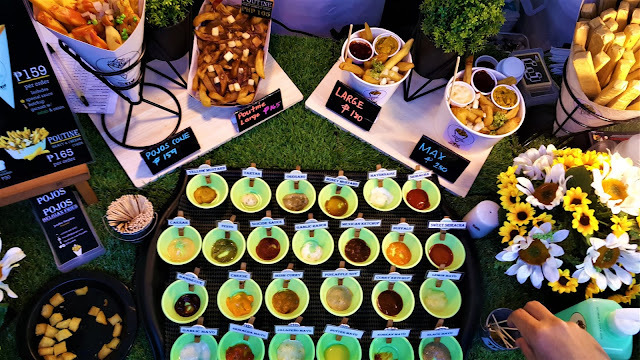 Pojos Belgian Fries got more than twenty dips to customize your fries and they come in buckets!!! 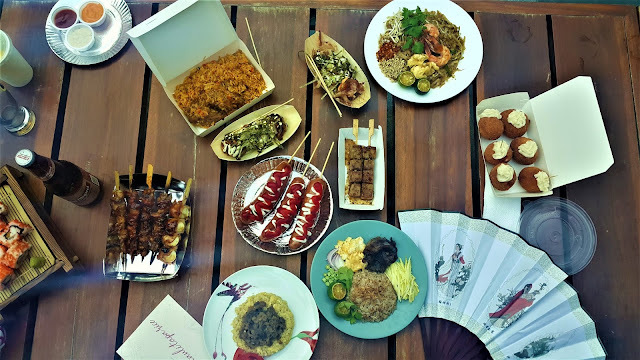 If you are going for the heavy meal ideas from rice meals, barbeques, hotdogs, takoyaki and donuts, they have plenty of stalls to provide you with that! The San Miguel Super Dry is perfect for these choices and yep, it's already available nationwide!!! 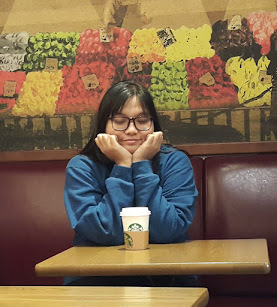 How about some Asian taste? 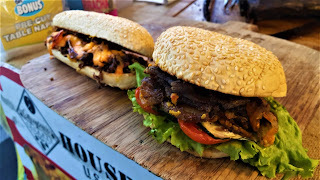 From the Indian curry, the Pad Thai, california maki or just some bhan mi? The San Miguel Premium All Malt is ready for any type of combination! 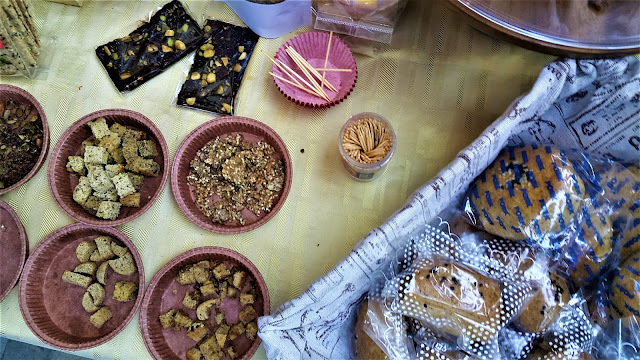 Of course, what's a gourmand market without indulging over desserts? We've got Le Reve Patisserie and Bichoux! 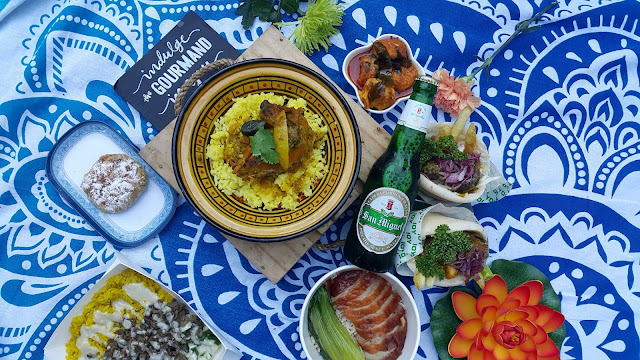 These items are best partnered with Cerveza Negra! 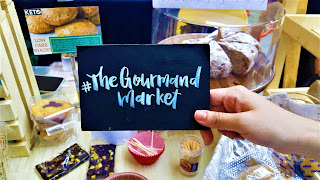 Have you been to The Gourmand Market before? 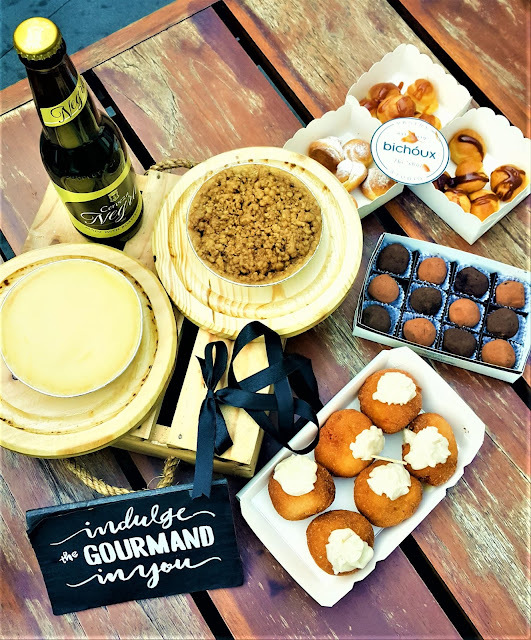 If not, then you should start following their page The Gourmand Market so you'll get updated with their upcoming events! !